Three things signify fall long before the weather changes: the return of the pumpkin spice latte, the reappearance of school buses, and newsstand shelves lined with September issues. Fashion magazines routinely pull out all the stops for their most important issue of the year, and while there’s no shortage of star power on this month’s covers, we couldn’t help but notice there’s an abundance of fresh-faced models peering at us from our favourite glossies. It was no easy task, but we bring you our countdown of the most stunning September 2014 covers. Scroll down for our picks of the best September 2014 covers from around the world. ‘60s revival is a huge trend for F/W 14. Elle UK’s cover perfectly captures the essence of the trend, while tastefully showing off Kate Upton’s enviable gams. While not a typical fashion magazine cover, we applaud W Magazine’s stylishly edgy art direction featuring an equally edgy star in Rihanna. Allure’s cover couldn’t be more glamorous, thanks to Chloe Grace Moretz’s on-point Marilyn Monroe-inspired styling. Porter’s first fall cover ever embraces colour and models, resulting in a beautifully dreamy image. Blake Lively is no stranger to glossy magazine covers. This particular one features a fresh-faced Lively looking lovely in a mod black-and-white sheath. The European magazine covers really jumped on the ‘60s trend bandwagon this year. The dash of French-girl flair makes this one incredibly chic. 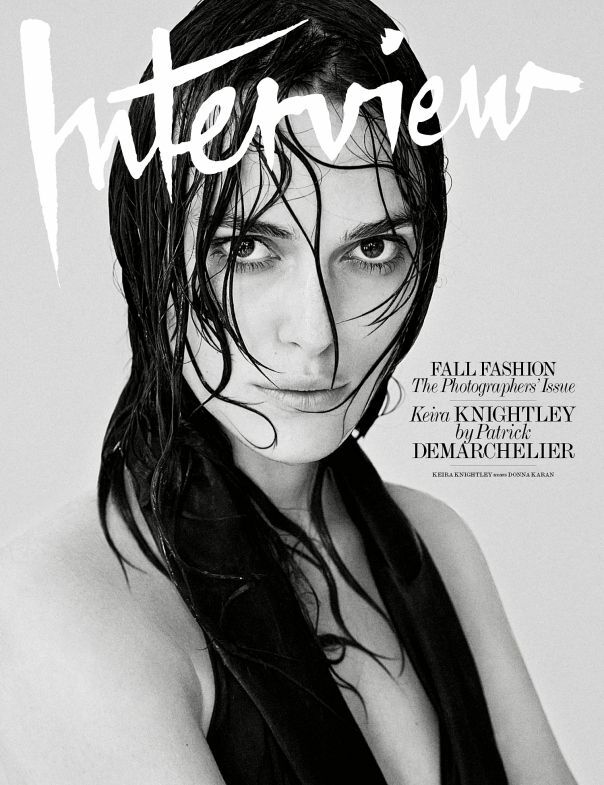 Interview Magazine’s six separate covers (each by iconic photographers) are all outstanding, but the black-and-white one featuring Keira Knightley is particularly breathtaking. The cover was shot by Patrick Demarchelier. It doesn’t get much more ethereal than Vanessa Axente on the cover of Vogue Germany. Unlike several other September issue covers this year, Vogue UK’s relatively simple cover featuring Cara Delevingne has a fall fashion vibe to it. Bonus points for her perfect cat-eye eyeliner. Lady Gaga, Chanel, an adorable puppy, and styling by Carine Roitfeld—no cover even comes close to having such a unique combination of elements. The most highly anticipated cover did not disappoint this year. Thanks to Vogue’s departure from featuring celebrities on their September issue, covers featuring models, in this case Joan Smalls, Cara Delevingne, and Karlie Kloss, might just become less of a novelty and more the norm from now on. No one could’ve predicted Harper’s Bazaar’s ingenious cover featuring Audrey Hepburn’s granddaughter, Emma Ferrer. The cover is stunning on its own, but Ferrer’s likeness to style icon Hepburn is what really blew us away. What do you think of our chosen covers? Did we leave off any of your favourites? Sound off in the comments below!